Well, it’s almost upon us. 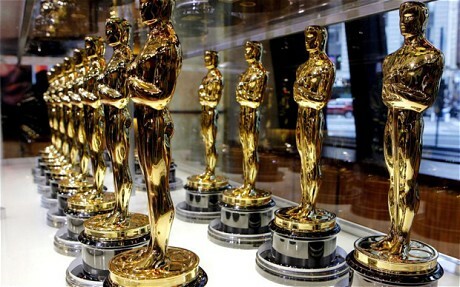 The 2011 Academy Awards take place around six o’clock on Sunday evening, local time, or stupid o’clock on Monday morning for those watching on these shores, and two dozen of the frankly odd looking (well, they are) gold statues will be handed out to those deemed the most worthy recipients. There will be few people in attendance, though, that have seen every nominated film and can give a genuine view on the respective worthiness of each of the nominees; to be honest, for most people with busy lives seeing all of the nominations for Best Picture is enough of a challenge. And for all my love of movies, rather shockingly only three times in my life have I managed to see all of the nominated films before tiny gold men were handed out. It gets easier every year, thanks partly to those people who don’t fork out the cash to watch films in the cinema, as piracy has reduced DVD and international release windows, so most of the films in question arrive on these shores either at the same time, or very close to, their debut in America. It also helps if the films in question are popular with the general public. In 1997, I managed it for the first time, with a selection of Titanic, Good Will Hunting, L.A. Confidential, The Full Monty and As Good As It Gets, one of the most populist lists of nominations in many a year. Then in 2005, with my world of Cine (or UGC as it was then) card in hand, I managed to rack up Crash, Capote, Munich, Brokeback Mountain and Good Night, And Good Luck, as my tastes had begun to wander ever so slightly off the mainstream. But ever since, there’s always been that one that eluded me before the event and last year, the decision to move to ten nominees meant that I missed two before the awards. 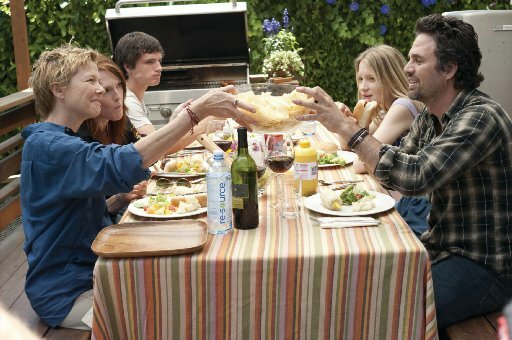 Seriously, though, who would have thought The Blind Side was one of the ten best of the year? But this year, I now have a hat trick of full houses. And it’s only taken me thirteen years. Still, having seen all ten of the choices for the main award, I do feel in a slightly better position to have my say on which film should actually take home the honours. 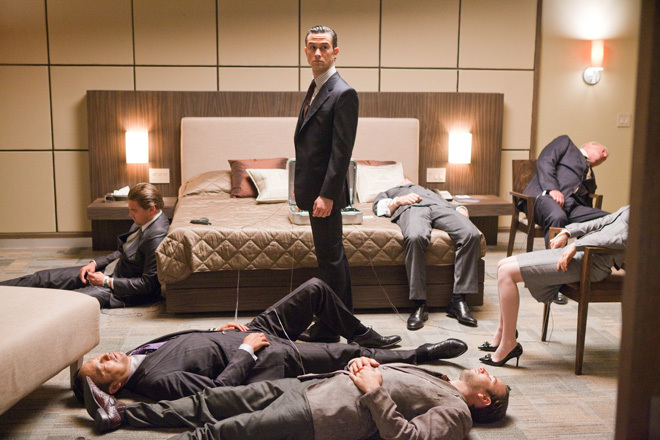 If you read my review of 2010, you can probably guess what’s nearer the top of my list, but with a few more creeping out after New Year’s Day, I thought I’d finish my Oscar round up by telling you what’s the Best Picture – and also why that’s the case. The Kids Are All Right screams Oscar fodder from every pore. At times it feels like a film almost cynically designed to get awards attention. It has some fantastic acting, and… oh wait, that’s it. The story is slight, and there’s not only a smug self-satisfaction about proceedings, but also a slightly arch air of self-awareness, embodied most clearly in the scene where our happy couple discuss the problems with watching adult films where straight people attempt to unsuccessfully act gay. Apart from the already mentioned fantastic acting, there really isn’t much that elevates TKAAR above the ordinary or the outright annoying. Which also has fantastic acting, although you maybe don’t realise how good until the last scene of the movie, where Christian Bale’s over the top performance and Mark Wahlberg’s more understated role are shown to be absolute dead ringers for their real life counterparts. Melissa Leo and Amy Adams have also managed to get nominations, and the story, actually despite being based on real life rather than because of it, has more narrative drive and allows for more confrontation. But acting and story are probably the only departments in which this one excels. How David O. Russell got a directing nomination for this over some of his contemporaries is beyond me. Acting – check. Story – check. Direction – check. Danny Boyle again trots out a fair selection of the tricks in his armoury, and takes what at first appear to be over the top gimmicks and uses them as a convenient shorthand for storytelling to avoid the need for extensive voiceovers or for James Franco to spend too much time talking directly to his video camera. You will come as close as physically possible to realise what it means and how it feels to cut off an appendage without actually having to do it. The only issue here is the story structure, which inevitably sags in the middle when we know what’s coming (stab-stab-chop-chop-argh-argh), but it’s not actually here yet. We’re now starting to reach the parts of the list where every department is firing on most, if not all, cylinders. Any movie that enables you to take Mila Kunis seriously after Family Guy and That 70’s Show is doing some seriously hard work, and much of that gets channelled into Natalie Portman, who’s in almost every frame. As is a mirror or reflective surface of some sort. It’s a fascinating character study, studded with various sexual fantasies, body horror and psychological trauma, and the only things keeping it from the top reaches of the list are that the overall story arc is a little one dimensional and predictable, and that the melodrama just occasionally gets a little too much for itself. What’s that? One of the two favourites for the award and it’s only sixth on my list? 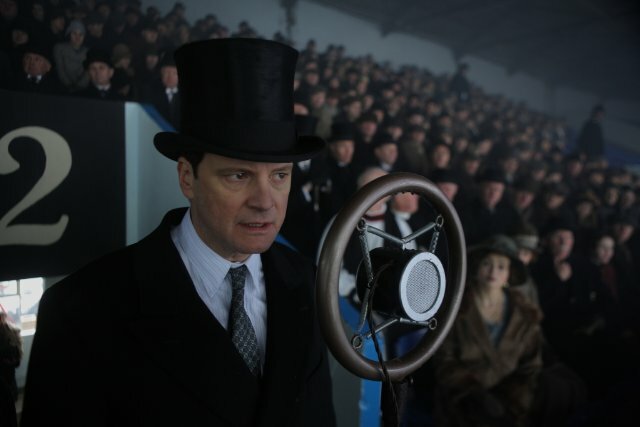 There’s no doubt that The King’s Speech oozes quality from every pore, it’s funny, touching, determined and dramatic by equal turn and, as I’ve said before, it’s the most Britishy British thing since Winston Churchill ate fish and chips out of a Union Jack while Vera Lynn sang to him in the Tower of London. But it is what it is – as well made as it is, there’s no real innovation, and also no ultimate surprises, as the story follows the narrative arcs and conventions that you want it to. Maybe us Brits lack a little daring at crucial moments. On the other hand, Winter’s Bone has narrative arcs that you’d expect, up to a point. It takes us down dark alleyways and to places that actually, we’d rather not go given the choice, if you don’t mind, thank you very much. The last film I can think of that managed to mine such dark places while still managing to cling to a small sense of hope was Seven, not recognised by the Academy but surely now approaching classic status; hopefully in another fifteen years Winter’s Bone will be similarly well regarded. If nothing else, Jennifer Lawrence, while sadly unlikely to win the Actressing award tomorrow, looks at least set for bigger and better things, and on this evidence thoroughly deserves them. You know when the Coen brothers turn their mind to something, it’s never as simple as first impressions. What they have shown now is that, as good as they were at producing their own material, maybe they’re at their best when adapting the work of others that skews heavily towards their own sensibilities. It has all their hallmarks; beautifully shot, edited and composed, both structurally and musically, with performances that feel both simultaneously lifelike and larger than life and a use of language that has a style all its own, but easily bears favourable comparison to their earlier works. The ending may alienate some, but actually it does in five minutes what other movies have taken their whole running time to do, in meditating on the passing of an era and the crucial importance of timing and a single moment. Anyway, any film using words like braggadocio or nincompoop will always have a place in my heart. To show all of the qualities that the films lower down the list have done, but then to have to refract them through another medium, that of computer animation, is surely even more of an achievement. The fact that somehow this movie trilogy has maintained its exceptional levels of quality throughout its fifteen year duration is surely also worthy of some sort of recognition. 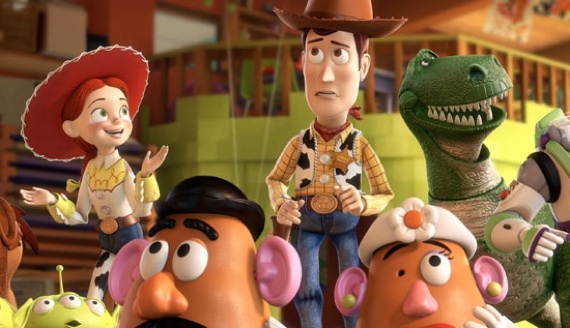 If the award was given out on the amount of time that your emotions were strongly engaged as a proportion of the running time, and the variety of those emotions, then Toy Story 3 would be a runaway winner. Sadly, this is only the third time that Oscar has felt brave enough to put an animated film in the top five or ten places, and it doesn’t look like it’ll be willing to put animation in the top one place any time soon. What has this got? What hasn’t this got, frankly. Shamefully overlooked for everything except Jesse Eisenberg in the acting nominations, when Garfield and Timberlake are just as good – and yes, that’s amazingly good actor and occasional warbler Justin Timberlake, in case you’ve been stuck in a dream for the past six months – but Fincher’s direction and Sorkin’s screenplay are majestic and in combination, simply stunning. It’s an old fashioned story of power and rivalry, but told with innovation, it feels fashioned almost as a thriller and there’s technical achievement going on at such a high level, such as Arnie Hammer and Josh Pence’s performances as the Winklevi (again, where have you been, it’s two different people playing that, with the face of one digitally pasted on the other), that the breadth and depth of the excellence here makes this the only rational choice for the Academy. This entry was posted in Oscars Countdown and tagged Academy award, achievements, acting, Best Picture, direction, Oscar, The King's Speech, The Social Network.